After a year absolutely packed with food recalls, another one was announced on Friday. 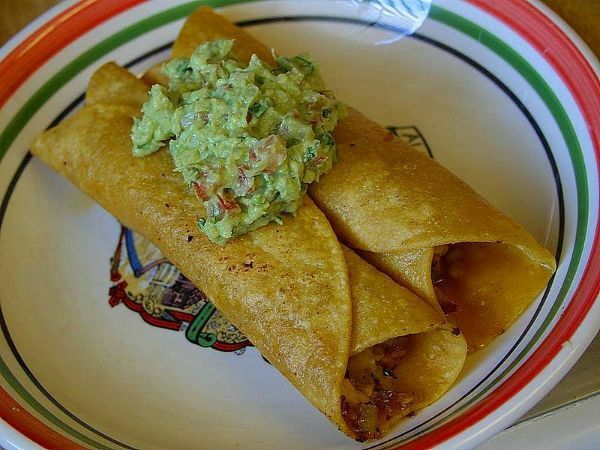 The U.S. Department of Agriculture's Food Safety and Inspection Service (FSIS) says ready-to-eat taquitos have been recalled nationwide. And 2.4 million pounds of food are involved in this latest recall. 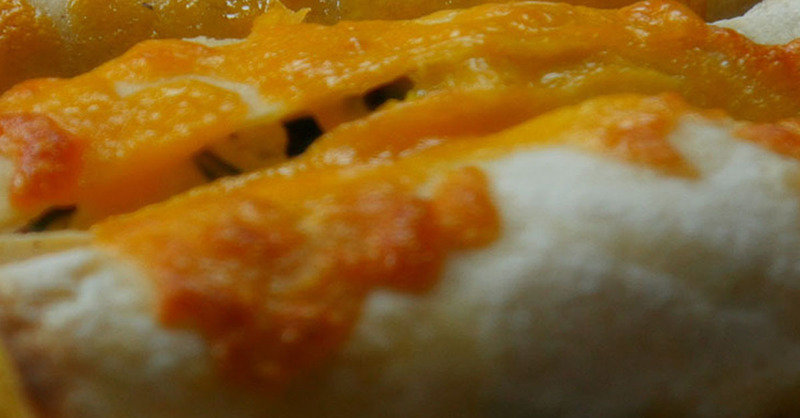 The recalled taquitos were made by the Ruiz Foods brand between July 1 and October 10. And concerns over both salmonella and listeria contamination prompted the recalls. 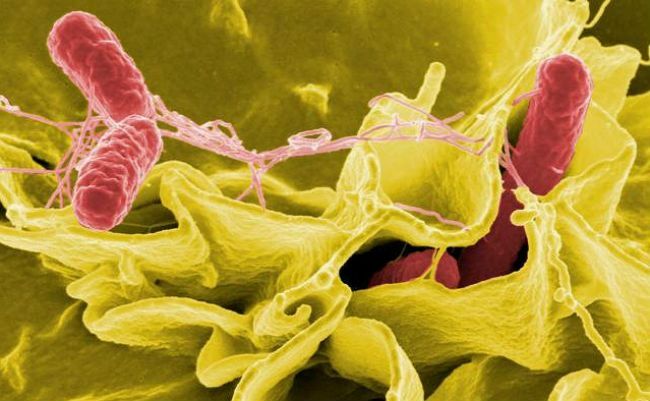 Salmonella can cause a bacterial infection called salmonellosis, which includes symptoms like diarrhea, fever, and abdominal cramps. While the symptoms usually pass in a few days, they can last up to a week, and sometime require hospitalization. Listeria is another form of bacteria, which causes an infection called listeriosis. It's known for causing weakness and muscle aches, but mainly infects pregnant women, older people, and people with weakened immune systems. 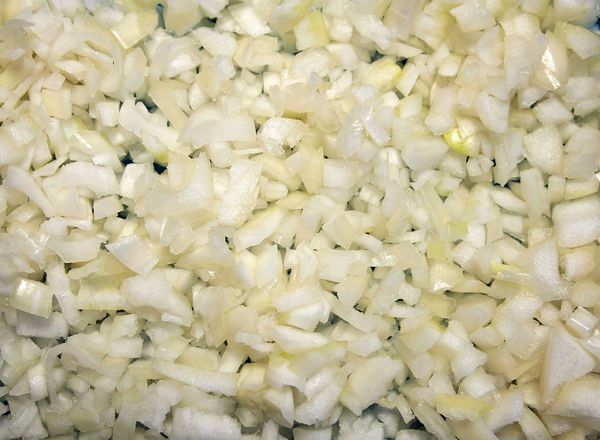 Ruiz's supplier, McCain Foods, blamed the contamination concerns on diced onions used in both chicken and beef taquitos. 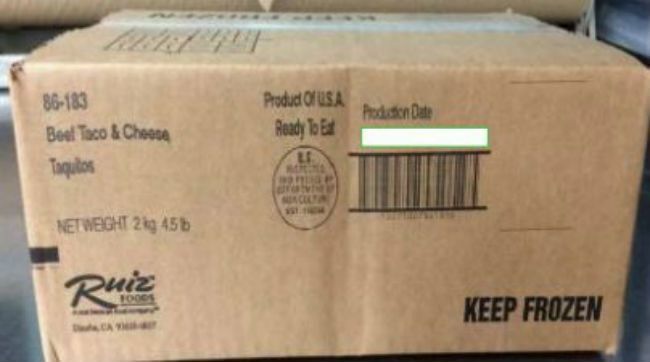 4.5lbs cardboard cases of 24 Go-Go "Beef and Cheese Taquitos" with code 86183 printed on the label. 4.5lbs cardboard cases of 24 Go-Go 'Buffalo Style Cooked Glazed Chicken Taquitos' with code 86006 printed on the label. 4.5lbs cardboard cases of 24 Go-Go 'Chipotle Chicken Wrapped in a Battered Flour Tortilla' Taquitos with code 86019 printed on the label. The recalled taquitos have been shipped nationwide, so shoppers from coast to coast should check their freezers. The taquitos should be thrown away, or returned to the store that sold them. So far, there have been no confirmed illnesses linked to eating the taquitos, but the FSIS is warning customers not to take risks. 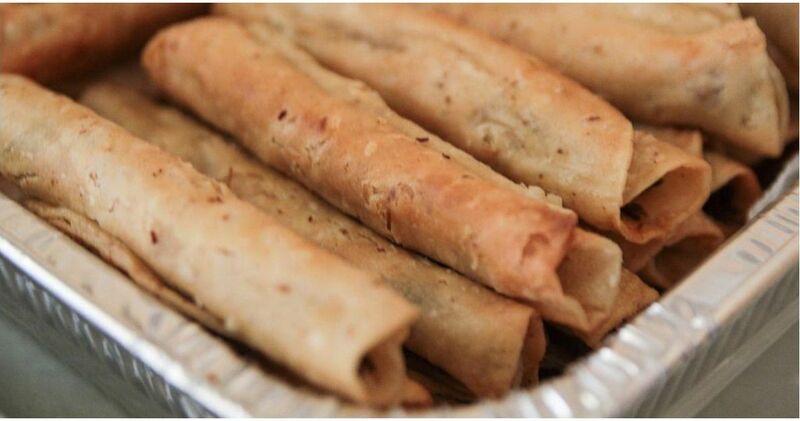 Anyone concerned about illnesses caused by these taquitos should contact their healthcare provider. Consumers with questions can call Ruiz Foods at 800-772-6474 for more information. Other food products made with sauteed frozen vegetables by McCain Foods have also been recalled. The possibly contaminated ingredients are all linked to one production facility in Colton, California, according to McCain. Hy-Vee grocery stores nationwide have recalled Bacon-Wrapped Cowgirl Chicken Grillers, Twice-Baked Potatoes, Cowgirl Chicken Griller Patties, Steakhouse Mushroom & Swiss Burgers, and Ground Beef Mushroom & Swiss Sliders sold in eight Midwestern states. All the affected products have best-by dates of October 22 or sooner. Caito Foods has recalled their Santa Fe Salads With Chicken, which were sold under several names including good & deLISH, Fresh Garden Highway, and good to go! These salads were sold at grocery chains including Target, Walgreens, and Family Fare in several Midwestern states. You can read a full list of recalled salads here, or call Caito Foods at 844-467-7278 for more information. Envolve Foods has recalled 22-ounce bags of several Kroger brand simple truth products, including Chicken Bibimbap, Thai Style Green Curry, and Chicken Tikka Masala. You can check the affected sell-by dates here. Other Envolve Foods products sold in Kroger's Cadence Gourmet line, including Steak Fajitas, Tuscan Tomato Basil Chicken & Sausage, and Rustic Toasted Tomato Basil Chicken & Vegetables were also recalled. You can see the full list of products involved in the McCain Food vegetable recall here. Be sure to check your freezer and keep your family safe!